A Jakarta, Indonesia-based creative, known as ‘ponypork’ on Instagram, constantly explores new ways to experiment with various art forms and self-expression, and visualizes his enticing journey through his unique, on-going photo series that literally depicts the concept of being “hands-on”. 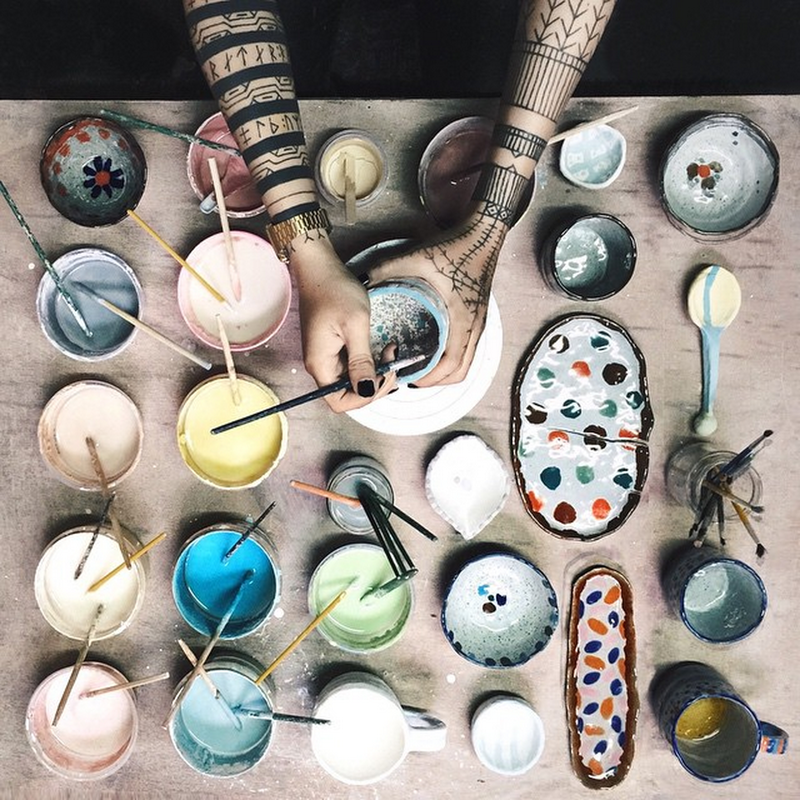 His creative project, titled ‘#whatmyhandsdoing’, features his hands engaging in diverse, colorful activities that range from painting an abstract portrait, making a complete meal to catching rainbows, with a consistent aesthetic of his tools arranged in a neat, flat-lay around his outstretched hands and against eye-catching backgrounds. Check out some of his work below, and head here to follow his updates.